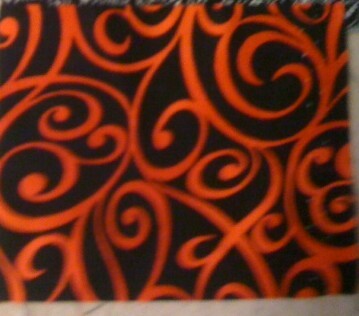 I'm looking for this fabric I bought it at Fabric Depot a few months ago and don't remember what fabric line this is from and would like to get more for a border. Does anyone recognize it? The people on this board know everything, I swear! You can always count on the board for help with just about anything. Got your answer. Just want to say love the fabric! Anxious to see the finish! I love that fabric! It would make a good follow the line quilting pattern too!! I've learned from this board to keep a swatch of any and all fabric and attach it to the saved selvage edge label for future reference. If you don't want to keep the swatch and selvage edge, take a photo of them along with the project and upload it into your computer. You can keep paperless records that way. This Board, the people and their information never cease to amaze me! Each of you are wonderful. Wow....what a quick answer!!! Beautiful fabric!!! Have you tried: www.findmyfabric.com? I've used it to locate fabrics in the past, and found it useful. They should be able to track it down with the name and manufacturer. I totally agree Michelle. If I am ever in a quandry... QB is the place to post your question(s).